Cowabunga dudes! Meet Mikey from the Teenage Mutant Ninja Turtles (TMNT). 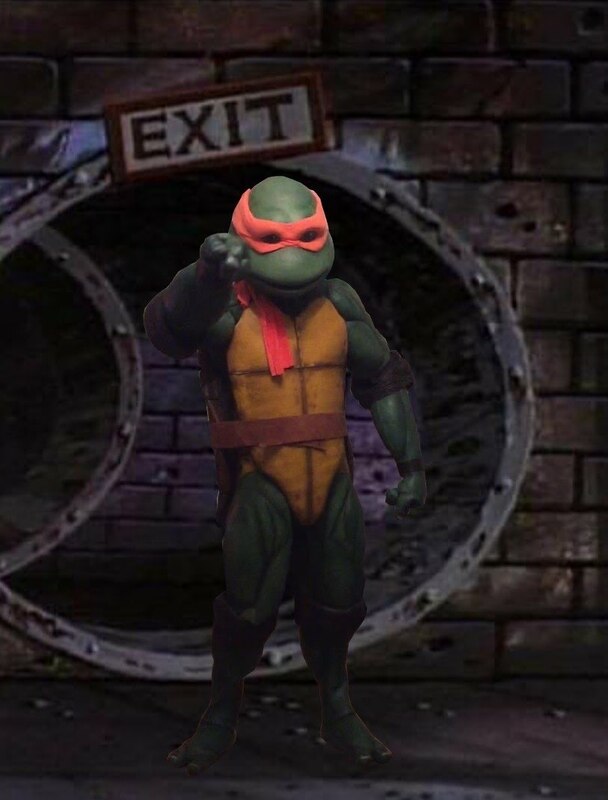 Watch your little heroes face light up when they see THE actual Michelangelo from the movie standing right in front of them! A turtle costume can't get much better than this. Our turtle suit is an exact replica of the suit used in the 1990 movie.